"What do you think, Miles? Should I aim for 'Best Actor'?" 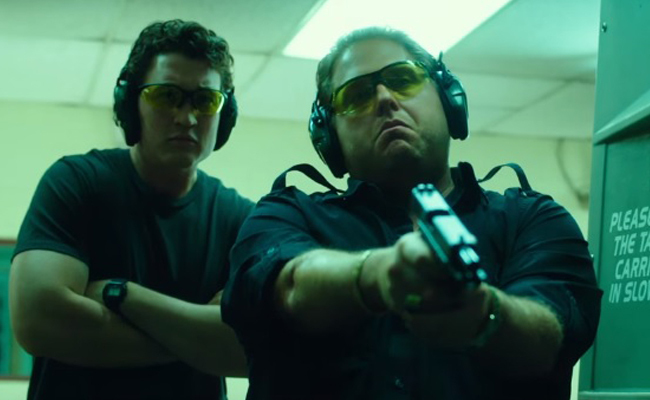 For two guys in a buddy flick, Jonah Hill and Miles Teller exhibit great chemistry, which I assume extends offscreen. In War Dogs, the new drama from Todd Philips brings us back to the mid-2000s, back when the war in the Middle East was on the minds of most Americans. We follow David Packouz (Teller) and Efraim Deveroli (Hill), two childhood friends from Miami, as they become professional arms dealers under Deveroli's company AEY. Take note, this is a profession very uncommon among 25-year pot smokers, but through a mixture of determination, talent, and sheer luck, they win a multi-million dollar Pentagon contract to supply arms to armed forces in Afghanistan. This isn't a shady black market deal gone wrong, but it could just as well be, because a few snitches and glitches and double-crosses later, AEY is taken down by the FBI. Films based on a true story tend to be either serious or boring, which should not be the case, because a lot of times fact trumps fiction in terms of interesting stories. War Dogs is neither serious nor boring; in fact, it's a wild romp. The end credits of the movie says it was based on the Rolling Stone article "Arms and the Dudes", but that is apparently inaccurate. 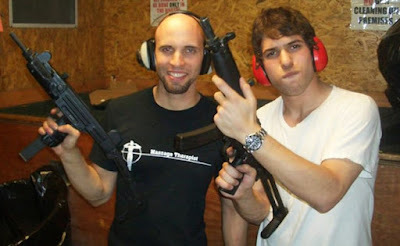 The actual Rolling Stone article is titled "The Stoner Arms Dealers: How Two American Kids Became Big-Time Weapons Traders", written by Guy Lawson back in 2011. He then turned this into a book in 2015, and its Amazon page lists it as Arms and the Dudes: How Three Stoners From Miami Beach Became the Most Unlikely Gunrunners in History. The question then is: Three? 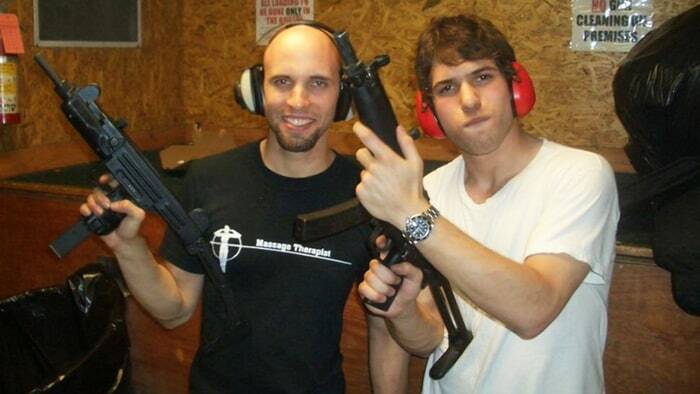 I read the Rolling Stone article, and Alex Podrizki, the third gunrunner, was only mentioned towards the end. See? No Podrizki. Just two war dogs. War Dogs is proof that Todd Phillips is a good director. Ordinary, mediocre directors tend to excel in a certain genre only, but shift them to another genre and they flounder. Phillips is known for his weird and offbeat comedies, most famous of which is The Hangover trilogy, yet he transitions to drama seamlessly, and hopeully we can expect more serious flicks with him at the helm. Granted, this film also has some comedic elements going for it, but that's more than welcome if only to diffuse the tension that the really serious topic of gun smuggling brings. Although Miles Teller is a good actor (remember his fatigue- and angst-ridden drummer in Whiplash? ), this film belongs to Jonah Hill. If you can, even for an instant, put his annoying laugh out of your mind, and if you can get past his onscreen obesity, you'd see that Hill has come a long way since his early comedy films such as Superbad. 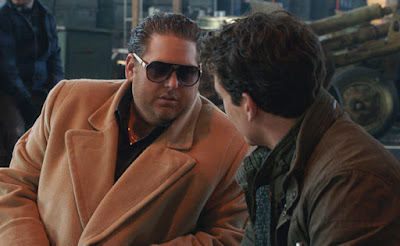 In fact, Jonah Hill is so method in this movie that he gained an unhealthy amount of weight for this role in order to tip the scales, presumably to make his character more despicable. He is, after all, a two-time Oscar nominee. "Seriously, bro... Am I that fat?"